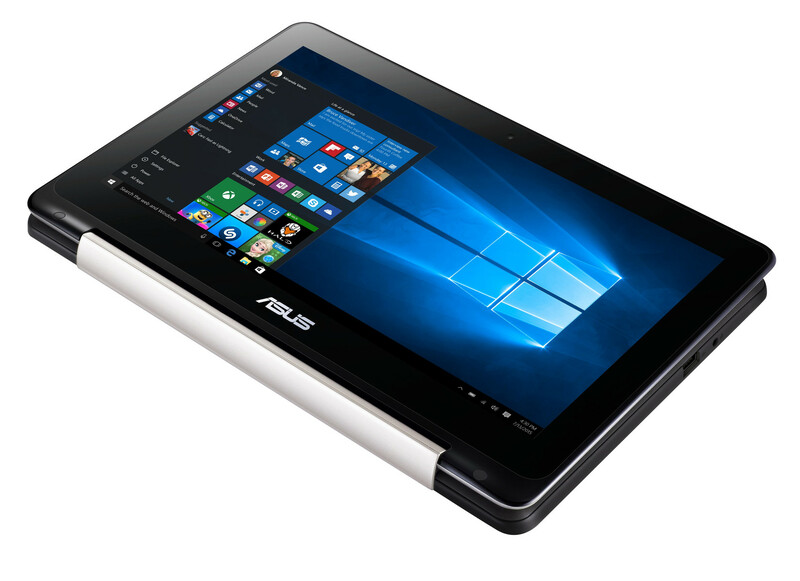 The detachable 10.1-inch T100HA and 2-in-1 11.6-inch T200SA will sport USB 3.1 Type-C and retail for just $299 and $349, respectively. The long-running Transformer Book series will now have two new members coming later this month called the 10.1-inch T100HA and the 11.6-inch TP200SA. 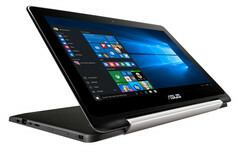 These budget Windows 10 convertibles will sport a wide array of connectivity features including USB 3.0, USB 3.1 Type-C, Bluetooth 4.1, Microsoft Cortana, and 802.11ac wireless depending on the model. Fast-charge is supported and can go from 0 to 80 percent capacity in just two hours time. 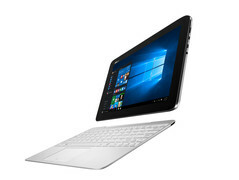 These convertibles are squarely aimed at home multimedia users similar to the 13-inch Transformer Book T300 Chi. First, the detachable T100HA will carry Intel's new Atom x5 Z8500 Cherry Trail processor and promises up to 12 hours of battery life. It uses the same Neodymium magnets as the T300 Chi for attaching its tablet portion to its keyboard base. 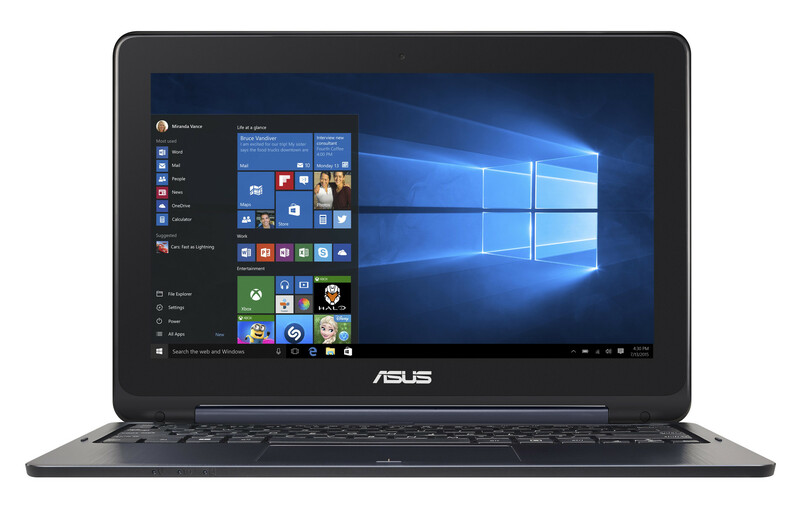 We found the connection to sway a bit too much for our liking, however, so hopefully Asus has improved upon its locking mechanism with the newer and smaller T100HA. 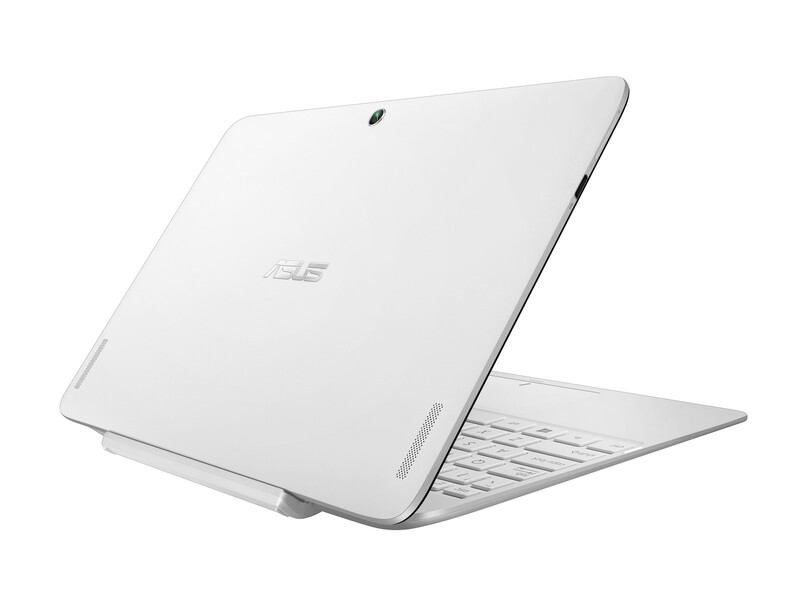 The Transformer Book Flip TP200SA will feature the Celeron N3050 Braswell CPU for up to 8 hours of battery life. This is essentially Asus' answer to the Lenovo Flex and Yoga series for users interested in a 2-in-1 via the 360-degree hinge. The T100HA and TP200SA will launch for $299 and $349, respectively. The T100HA will come in White, Blue, Red, and Gray colors while the TP200SA will be available in Blue. We recommend checking out the full specifications for each of the devices in the press release below. 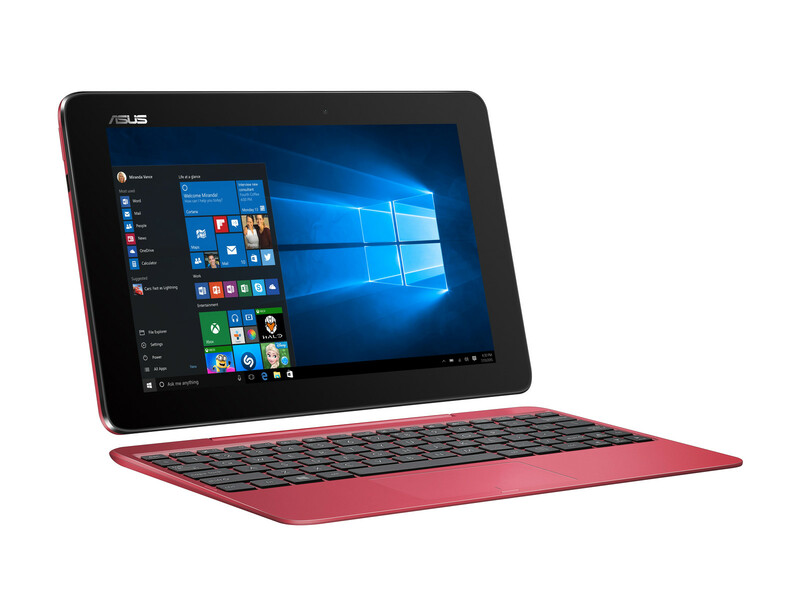 Fremont, Calif. – (22 Sept., 2015) – ASUS Computer International today expands the Transformer Book family with the T100HA 2-in-1 and Flip TP200SA that gives users the flexibility of a tablet and notebook in a single portable device. The new Transformer Book T100HA and Flip TP200SA are the perfect mobile companions that are ready for your active life whether you want to work on-the-go, unleash your creativity in serene environments or simply relax and catch up on the news. New to the Transformer Book T100HA is an Intel Atom X5 Z8500 Cherry Trail processor that delivers up to 20-percent higher performance than the previous generation while delivering all-day battery life up to 12 hours. An enhanced docking mechanism that employs neodymium magnets makes it simple and easy to detach the tablet from the keyboard while maintaining a secure bond when used as a laptop. Fast-charge technology enables users to charge up the T100HA to 80-percent battery capacity in two hours for up to 9.5-hours of battery life so it’s always ready for your on-the-go lifestyle. Micro USB charging on the T100HA makes powering it away from a power outlet easy, simply connect a high-amperage USB power bank such as an ASUS ZenPower and be on your way. The Transformer Book Flip TP200SA delivers the traditional notebook experience but transforms into a tablet with a simple 360˚ flip. An Intel Celeron N3050 Braswell processor delivers smooth performance with up to 8 hours of battery life to get you through the day. High-speed 802.11ac networking enables the Transformer Book Flip TP200SA to connect to wireless networks at speeds rivaling wired Ethernet for maximum networking performance free of wires. The Transformer Book T100HA and Flip TP200SA include 4GB of RAM and 64GB of solid-state storage for smooth multi-tasking, greater durability, incredible system responsiveness and fast boot times while IPS displays ensure wide-viewing angles and vivid colors. A stereo array microphone optimized for Windows 10 and Cortana digital assistant enables the T100HA and TP200SA to instantly respond to “Hey Cortana” commands while Continuum mode enables a seamless tablet-optimized view when the T100HA is detached from the keyboard or when the TP200SA is flipped. Continuum mode intelligently disables the keyboard keys when the TP200SA is flipped too so users don’t have to worry about accidental key presses. 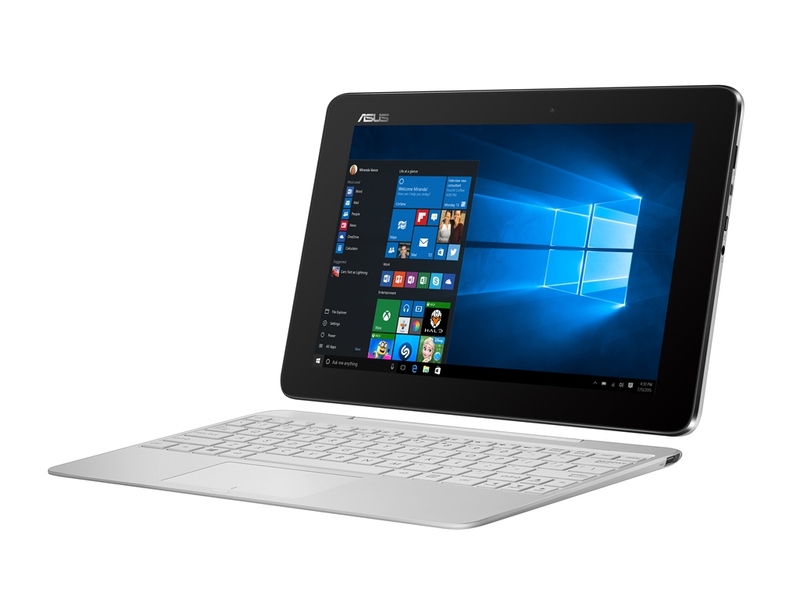 The ASUS Transformer Book T100HA and TP200SA are available later this month for $299 and $349 in the US from the ASUS Store and select resellers. Please visit ASUS.com/us or contact your local ASUS representative for further information.